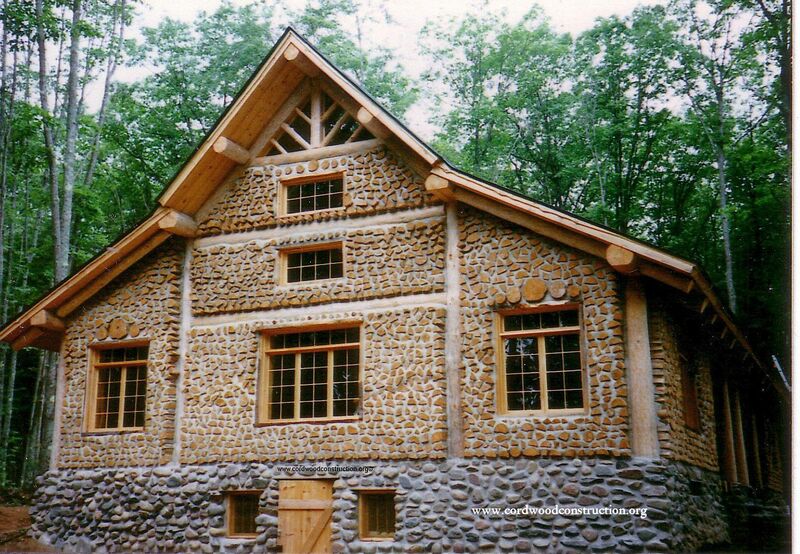 Cordwood is often built to save money using locally available materials. However, sometimes cordwood is built to impress, and here is a fine example. 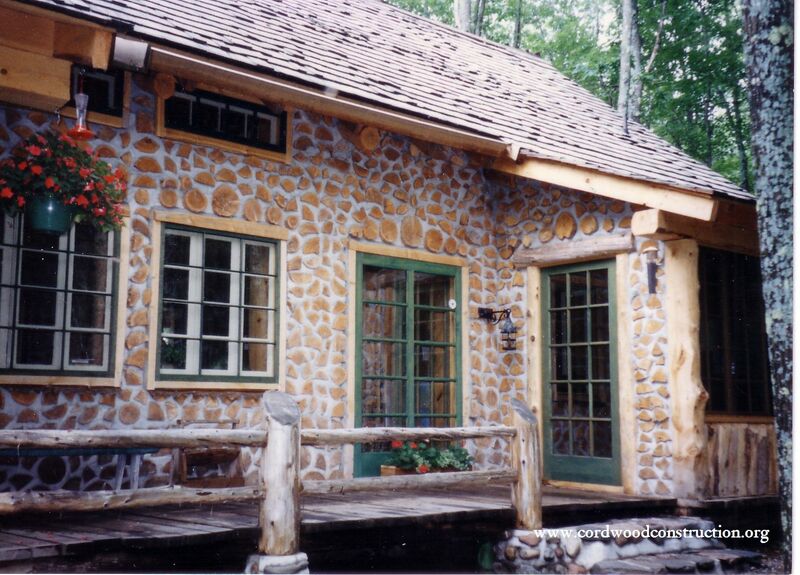 This million dollar cordwood lodge was constructed in 1995, by a wealthy family from Milwaukee, Wisconsin. It is located on a hidden lake in Northern Wisconsin. 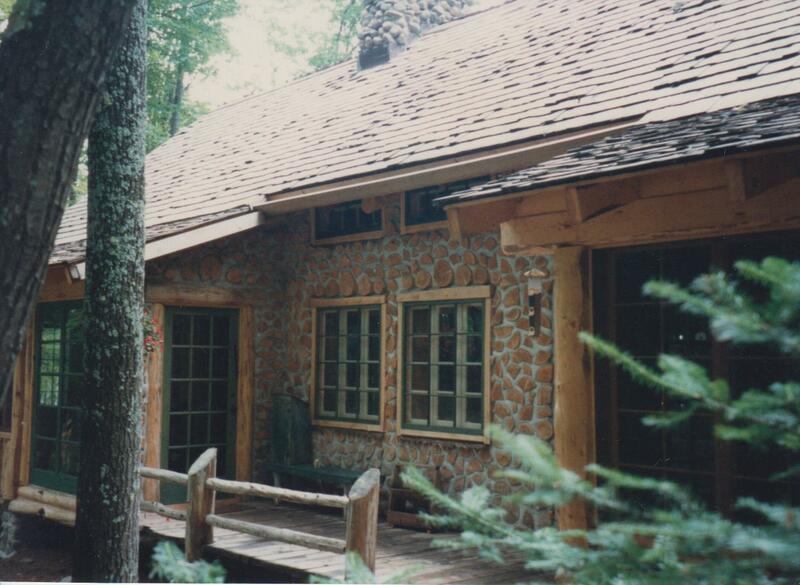 This timber framed, cordwood infill beauty is located on a gated, private road. The 62′ x 42′ lodge boasts a full basement, a field stone fireplace and three floors. This is a good view from the east side of the building. 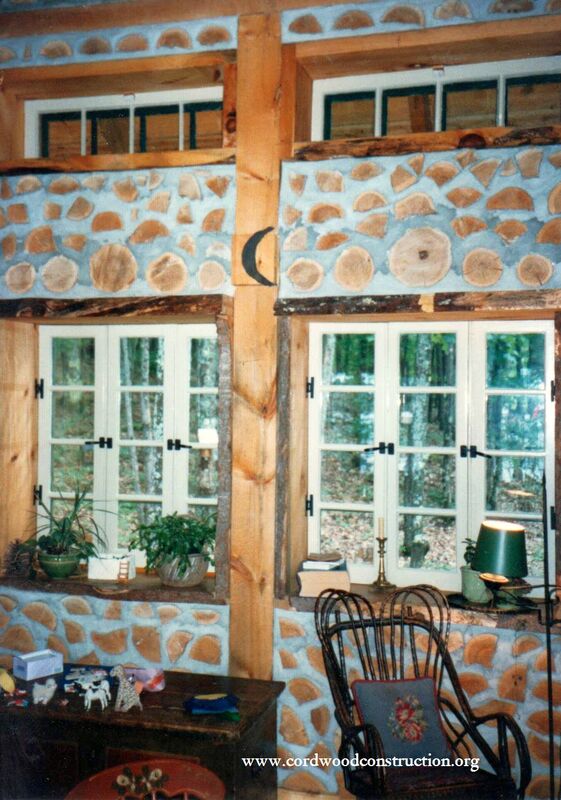 The fieldstone foundation keeps the cordwood up “off of grade” and allows for proper air circulation. The cordwood is 18″ Northern White Cedar. It was built with three 4″ mortar beads of a vermiculite/lime/sand slurry (vermiculite was used in place of sawdust). There are two 3″ dry vermiculite insulation rows down the middle of the logs. The roof is standing seam green metal. The interiors of the lodge and the architect’s cottage are both attractive and tastefully appointed. The Lodge has sold two times since it was built, which is typical in a highly prized recreational area. This simply shows what can be done when money is no object, however, it is relatively easy to build a modest cordwood home (depending on your parameters) for much, much less. 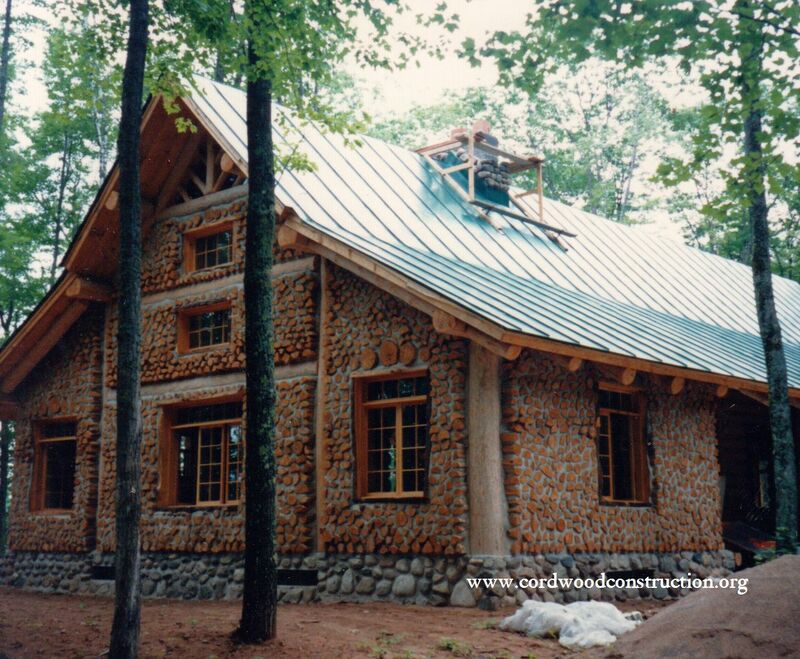 If you are considering building with cordwood, you would do well to do it right. The most excellent book Cordwood Construction Best Practices if chock full of how to do it with “no regrets.” If you follow the recipe and make your choices wisely, you too can build you own natural home/cottage/cabin/lodge:0) Visit www.cordwoodconstruction.org for more pictures and explanation.